Globe Home Prepaid WiFi users can register to a longer validity internet promo that can cover your whole month of online activities. By subscribing to HomeSURF999, you can enjoy up to 30 days data connectivity for only 999 pesos. You are given 30GB of data plus the 35GB of freebie making a total of 65GB for (1) month. You can use it to access your favorite apps like Facebook, Twitter, Instagram and other social media websites. You can also stream and play online games using your computer/desktop, smartphone, tablets while connected to your Wi-Fi network. You can subscribe to this promo using Globe at Home App or directly register using your prepaid Wi-Fi dashboard. You also have other options to register below as your reference. 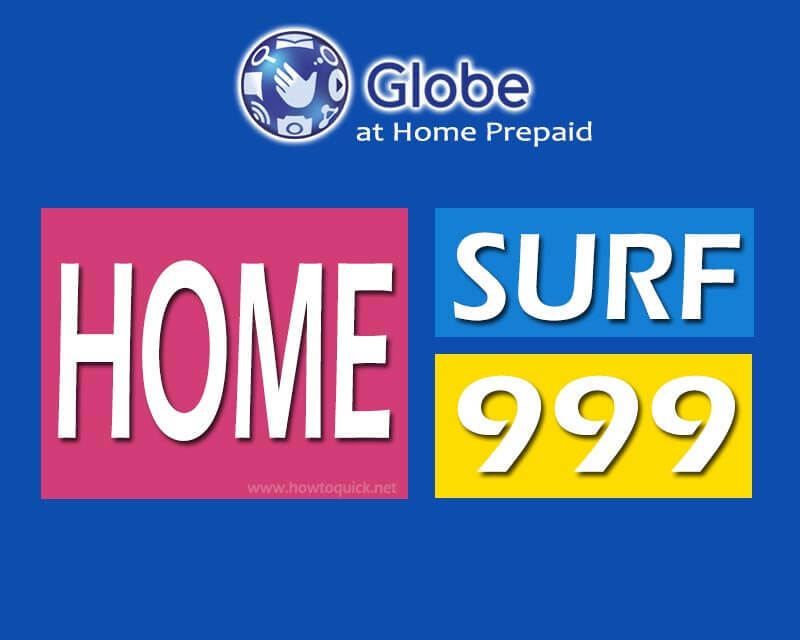 Send HOMESURF999 to 2 + your 10-digit Home Prepaid Wi-Fi number.